Normal human consciousness functions around an ego. Our ego manifests negative and destructive thoughts and behaviors when it functions from a self-centered, narcissistic place. When we are caught in the grip of an undeveloped, narcissistic ego our mind is plagued and colored by ‘poisons’ such as ignorance, pride, anger, and greed. When we find ourselves caught in self-obsession, we feel anxious, depressed and powerless, with no obvious way out of these thoughts and feelings. It is only when the ego is in service to the Self that it is freed from the poisons and from anxiety, depression, and self-obsession. Yogis make use of auspicious cosmic energies available during Navaratri to make a sincere and devoted attempt at success in their meditative practice (sadhana). It is possible to use this time to propel ourselves into a deep inner experience in which we touch something remarkable within ourselves. Touching this deep spiritual essence nurtures and strengthens us and awakens us to a higher reality. In the mythology of India, even the gods felt powerless against the amazing force of the Great Selfish One, Mahishasura. So they came together and pooled their energies to invoke the unconquerable goddess Durga, the goddess who overcomes all difficulties. Durga represents the latent and unconscious power in all of us. If we can invoke this power, then we can align with our own higher being. This luminous part of us is the antidote to our self-made darkness. 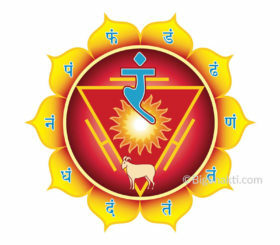 This part is best invoked by mantra and prescribed ritual, learned over a period of time, and performed with humility and devotion. The combination of all these forces of the Creative Power is required to conquer our difficulties and the sorrows of existence that are manifested by our great ego. 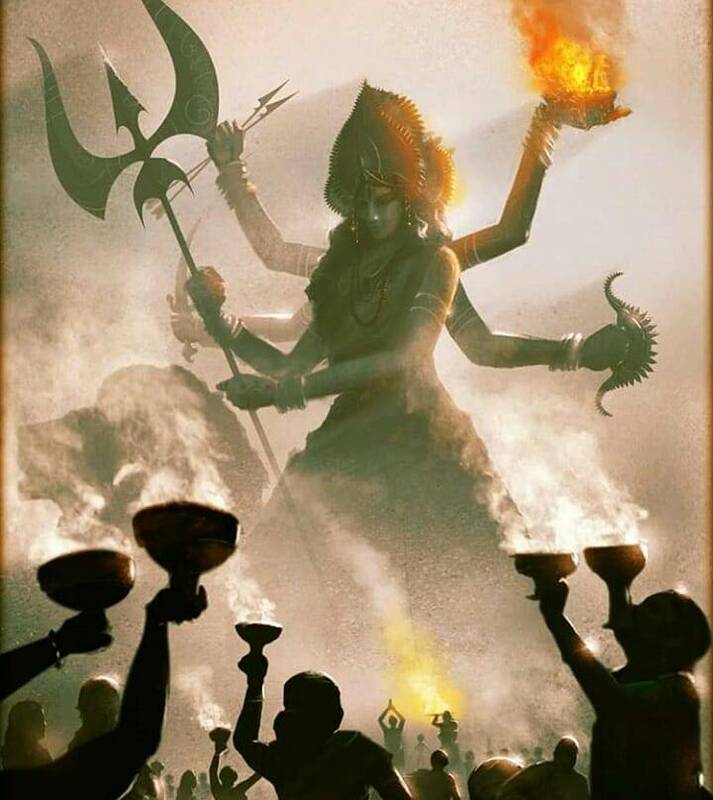 We need to have the raw power of Kali to cut through the old habits and patterns, the prosperity of Lakshmi to have the means to move forward, and the knowledge of Saraswati to be able to manage our mind and lift it from its undisciplined state into a higher luminous state. This requires time and training to learn how to properly tackle and transform the little mind. Otherwise, it will resist. Navaratri commemorates the victory of Durga over Mahishasura. Durga started her fight against this demon on the first day of Navaratri. The tenth day is the day of celebration of victory over our selfish nature and the enlightenment of our higher being. To make use of this time, make a resolve (a sankalpa), to achieve something great in your life, to overcome the obstacles you currently face, and to achieve a higher view of who you are and what your purpose is. Eat a light vegetarian (sattwic) diet, preferably without grains, perhaps eating more fruit, milk, and vegetables. Commit to a little extra sadhana, asana, pranayama, and meditation, and consciously channel the energy generated by this process toward attaining your exalted aim. A good practice is mantra sadhana, so use the time to increase your mantra practice. The light diet will allow you to better feel the resonance of this mantra in your subtle being. If you don’t know mantra simply increase your meditation practice with greater intensity. We wish you great blessings, empowerment and joy in practice over this time, and always. To increase awareness of your sankalpa see Illuminating Your Heart’s Desire. 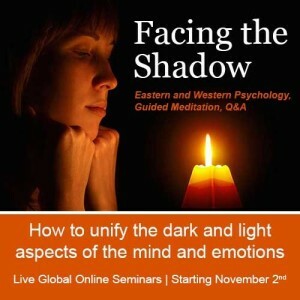 To get to know your psychological shadow see Facing the Shadow Seminar.